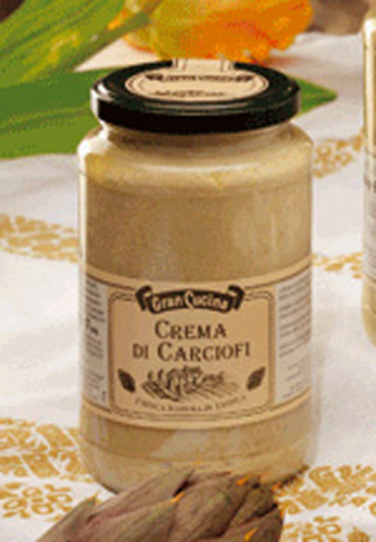 Gran Cucina artichokes' cream or artichoke's pate is an ideal cream to decorate your antipastos and give extra flavour to any dressing or sauce. Can also be used as a spread on top of toasts or any kind or farmer's bread. Makes a delicious and healthy meal for any occasion or a great snack. Comes in two different jar sizes: 6 oz and 17.6 oz. 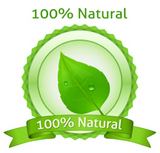 The Gran Cucina artichokes' cream is made with 100% natural all Italian ingredients cooked and bottled at the Gran Cucina location in northen Italy and imported by Green Kitchen . Gran Cucina Artichokes' Cream 6 oz.jar - not shown-. Gran Cucina Artichokes' Creams' Cream 17.6. oz jar.